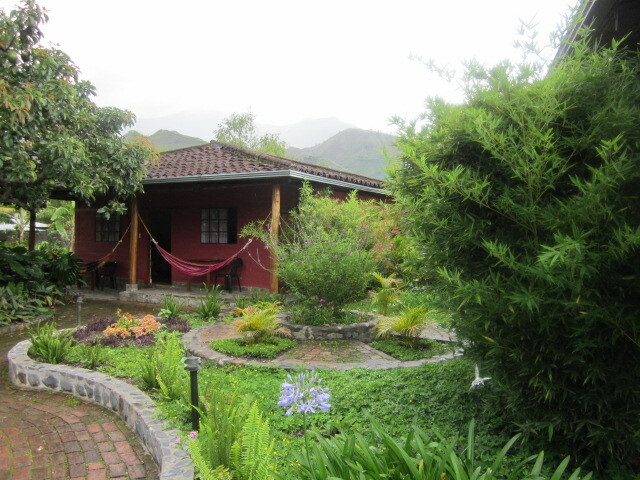 Vilcabamba, located in southern Ecuador, is known as the Valley of Longevity. 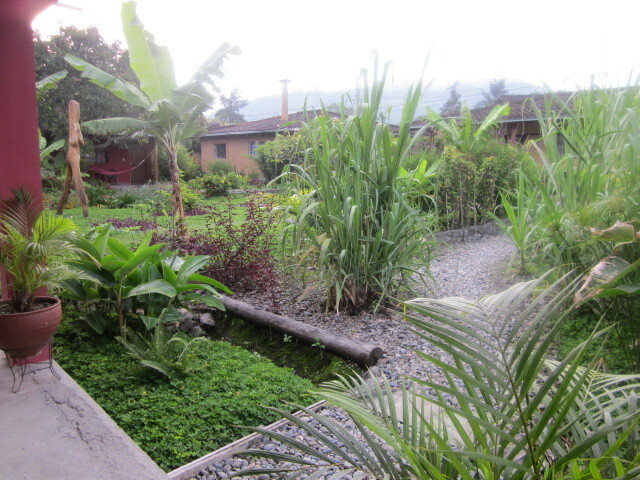 According to INIGER, the Ecuadorian Institute for Gerontological Research, many of its inhabitants live long and healthful lives. INIGER, housed in an impressive new building about a 15 minute walk from town center (off the circle road near the zoo and orchid gardens), was officially opened in 2011 by President Correa. See http://www.inclusion.gob.ec/instituto-nacional-de-investigaciones-gerontologicas-iniger/ about the Iniger studies and the correlation between the environment and longevity. Some information is in dispute as many elders do not know exactly when they were born, for at the time they were born, there were no records. How do you get to “Vilca”? 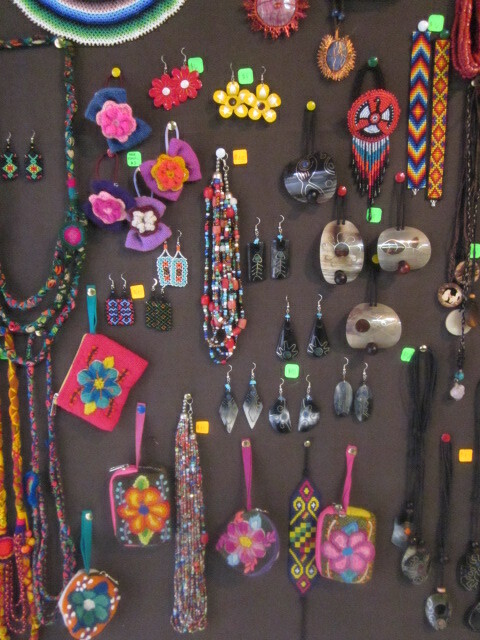 By road from Peru, by plane to Loja’s Malacata airport via Guayaquil or Quito and then drive in, or, by private plane. The drive from Loja to Vilca may remind travelers of the road to Hana on Maui island – winding and long for such a short distance (28 miles to Vilca), but astoundingly beautiful. The bio-diversity is breathtaking. It’s understandable why many expats from Europe and North America have moved to this somewhat hidden spot with its lush, fertile valleys and mountains, and what appears to be an abundance of organic food and fresh water. Mandango mountain to the west acts as symbolic protection; many consider the mountain and the valley below a spiritual place. I’m here in December, “the dry season”, and it is uncommonly green. 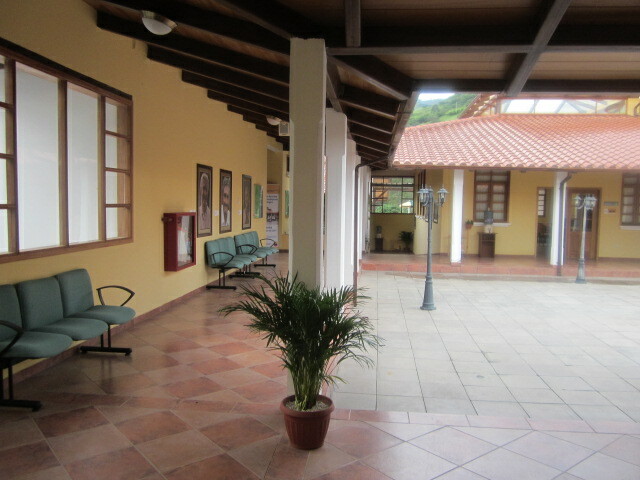 There are many small hostels and hotels. I checked in at the attractive, French run Le Rendez-Vous with bungalows serving as shelter. 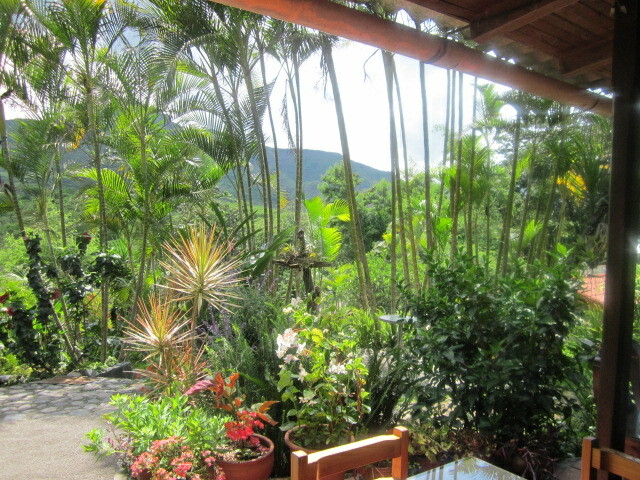 The gardens are immaculate, the manager Lino from Dijon warm and welcoming, and the morning breakfast memorable – multi-grain toast with homemade marmalade, a tortilla (omelette served golden), local coffee, and homemade fruit juice. The linen was clean, the water warm, the floors well swept. 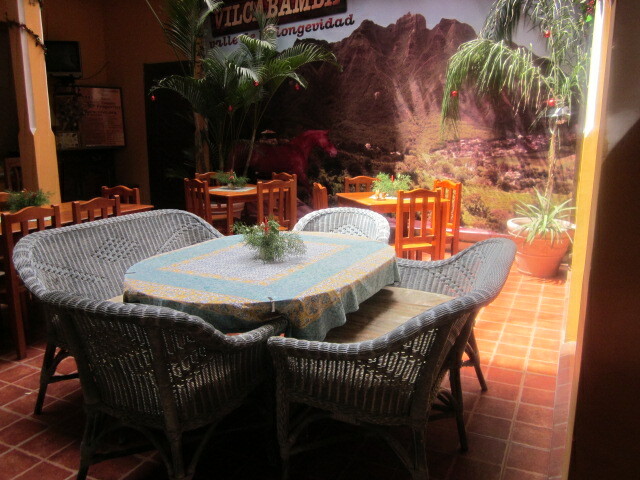 Great location – two blocks off the main square; and secure – gated and behind a wall. The bill was $20 all inclusive. It’s pretty easy to get a feel for this place, in one day – lunch at Mama Tierra on a hill hear the entrance to town, a drive to see the exclusive enclave of San Joaquin founded by Americans see www.haciendasanjoaquin.com (you need an invitation),a drive to the German run Izhcayluma Hosteria y Restaurante www.izhcayluma.com on a hill over-looking the valley – beautiful views at dusk (cover your arms and legs to avoid bites), the town square with its shops and restaurants. Activities are seeing the waterfall Del Palto in the Podocarpus National Park (a five hour walk – ask instructions before you leave for how to enter the park and how to see the waterfall, not advised during the rainy season), Rumi Hulco nature reserve, walking along the Rio Chamba, hiking, horseback riding, swimming, lazing around under the sun, visiting a spa, sitting in the shade sipping on cool drinks while talking to new friends. It’s an easy place to meet-up with almost anyone who crosses your path. I learned more about Vilca in my few minutes at the local juice bar on the town square, run by an American naturopath, than I did by reading guide books. I liked discovering Layseca’s on the plaza, a charming mini-restaurant and bakery with homemade goods served by its smiling proprietress Eleanor, who is Peruvian. I bought some herbs and organic honey at Soul Flower boutique on the plaza; Layseca also has local goods for sale. The only downside to Vilca for me are the no see’ums, little bugs that tend to bite in rings or in one area on your arms, legs, neck, face. I was attacked, and I can assure you, it put a damper on my Vilca experience. The bites are small at first, they then swell up and itch like crazy. Your body looks as though you’ve come down with chicken pox. I admire those who acclimate, tolerate, and survive these invisible bugs/fleas. The reason they exist here and not in Cuenca, Loja, or Quito, is elevation. 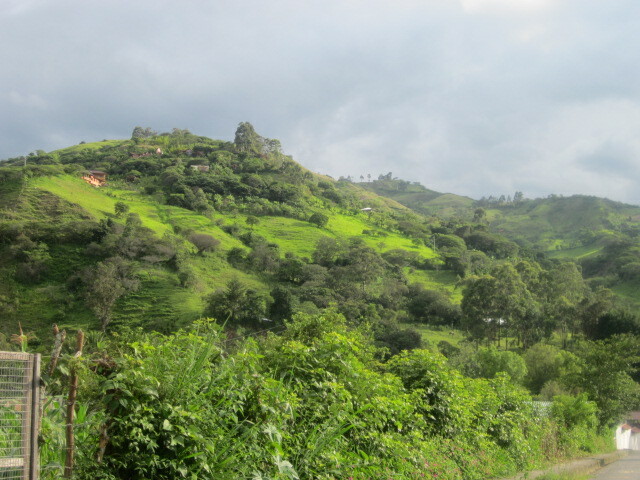 Vilcabamba is below 5,000 feet. The average temps here are 60 degrees at night and 80 during the day. The air is clean (except for diesel fuel from buses and trucks passing through on the main highway), and the water apparently top quality. It seems quiet and relatively safe. 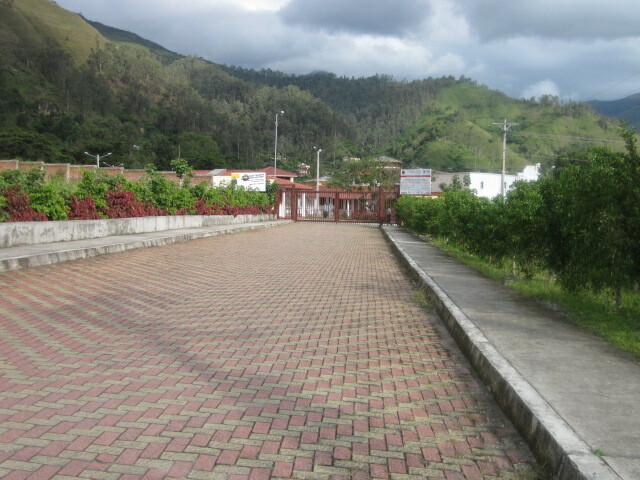 The area is also known as the Valley of the Good Life. The people I met who live here would agree. 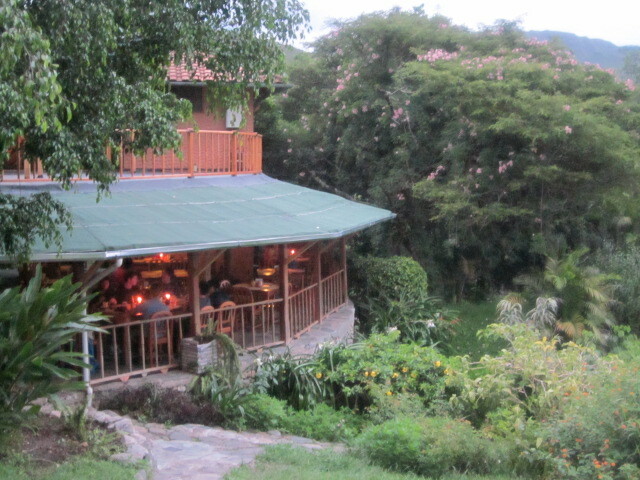 For more information on Vilcabamba + photos, one source is Wikipedia http://en.wikipedia.org/wiki/Vilcabamba,_Ecuador .